Does your business excel or just use Excel…? All pitfalls mentioned here are pains when working with Excel, but sharing data is one of the biggest pitfalls when using Excel. Determining what version of the truth is accurate can become very frusterating and also very dangerous. Here are a few tips I’ve discovered whilst building SSRS reports to host in SharePoint. Some of these are report based tips and a few apply to SharePoint. I willadd to and update these as I discover more. Always worth a shot to look at what Microsoft has to offer in the world of BI. This collection of features looks ot be rather interesting. Microsoft Power BI for Office 365 is a collection of features and services that enable you to visualize data, share discoveries, and collaborate in intuitive new ways. 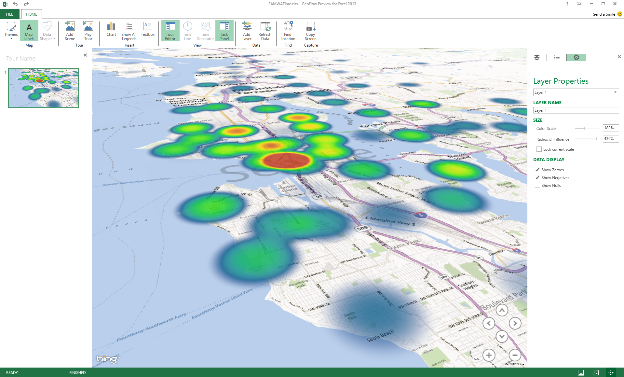 Powermap Preview for Excel 2013 is released! 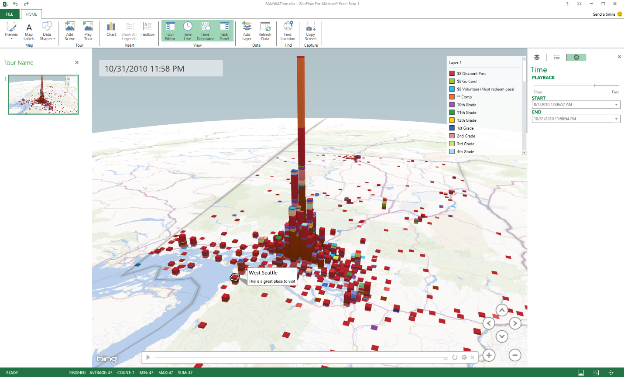 Wow, can Excel be a Power BI Tool? Share Stories: Capture screenshot “scenes” and build cinematic, guided interactive or video “tours” that can be shared broadly, engaging audiences like never before. I hope you were able to attend my free webinar on Understanding Microsoft Self-Service BI on September 26, 2013. If you weren’t you can now download the recording here. Because I covered new material all the way to the end of the webinar i thought I’d also answer some of the top questions I didn’t have time to answer here. Q: Can an Excel Power Pivot 2013 model be read by Excel 2010 or Excel 2007? What about Excel versions and their compatibility with SharePoint Versions? I ask because we are upgrading our SharePoint environment to 2013 but most of our users have Excel 2010 (a few have 2007).